We live locally in Raynes Park but spent our childhoods in carefree outdoor environments and wanted the same for our kids. It was the sort of time when you could leave the house after breakfast and not return until it was nearly dark, and only then because you were hungry! We met in the Kalahari desert in Botswana whilst living under canvas and managing a safari lodge and are now parents ourselves. We love our life in London but were saddened by the lack of opportunities for young kids to be outdoors playing freely and exploring in the fresh air. So we decided to do something about it and in 2015 we launched our first forest nursery in Wimbledon! We want to give all children in London the opportunity for a direct and regular avenue to nature and the joy of unrestrained childhood. We are passionate about healthy development, respect for all, safety, good nutritious food and the delights of the natural world. Lisa has been with us since we were just six months old and is now our Chief Operations Officer. Before joining us at Little Forest Folk, Lisa previously worked with start-up companies in the International Development sector, leading on multiple projects across developing countries and supporting on all company operational activities. Lisa loves the great outdoors and enjoys walking her dogs with her two children, horse riding and camping. Lisa is a great believer in children being outside, being healthy, happy and connected to nature. Jeni has been working in Early years for over 20 years. Her journey began when trying to find her eldest son a suitable nursery which would meet his needs. She volunteered at the nursery, which led her to undertake her Childcare qualifications. She then went on to manage the nursery before branching into her teaching level 3 Childcare Diploma qualification course and then moved into Regional Manager roles. Living in the rolling countryside of South Downs, Jeni enjoys spending her time walking her dogs. Jeni cannot wait to watch the children grow and develop in the unique and engaging way which makes Little Forest Folk so successful. Jemma grew up in a small town in New Zealand and spent most of her childhood enjoying the great outdoors, so firmly believes in children being outside as much as possible. Jemma moved to London in 2016 and loves living in the city but also enjoys taking time out to explore the countryside, to go hiking and cycling, and takes any opportunity to travel around the UK and Europe. Jemma loves being a part of the Little Forest Folk team, and is excited to be able to support the teams out in the forest. Paige studied Theatre design at University and still loves to do illustrations in her own time. She has a passion for child led based learning and feels the forest is a wonderful place for little ones to experience adventures! She enjoys being behind the scenes and is passionate about Little Forest Folks vision. Carly loves adventure and the outdoors, spending her free time hiking, cycling and exploring the countryside. She has an event management background and loves being part of back office operations. She is passionate about the benefit of nature and spending time outdoors. Becka has recently returned from working in Australia, where she enjoyed spending time exploring the country and its diverse wildlife. Becka loves to keep active through running and sports, and likes to spend her free time trying out new outdoor activities. Becka believes in children being outdoors as much as possible and is very happy to be part of the Little Forest Folk team helping to connect children back to nature. Becky has always loved to cook and can’t recall when cooking hasn’t been one of the favourite parts of her day. Becky feels passionately that children should learn about food, not just the sheer pleasure from cooking and eating but some of the basic issues that surround food, seasonality, provenance and sustainability. Children love to cook, enjoying the taste, smell, feel of food and the freedom to make a mess! Becky’s mission is to make tasty, wholesome and nutritious food for the children to enjoy during their time at Little Forest Folk. She uses simple, natural ingredients with a focus on taste, nutrition and creating proper homemade food suitable for active little people. Teresa, with a background in software development, product management and digital marketing, has over 15 years' experience working within a range of industries and for big international companies. Growing up in Australia, she shares Little Forest Folk's passion for getting children connected to nature and enjoys spending time with her family outside as much as possible. Charlie has been teaching in London for 6 years. He is a qualified Primary school teacher and is about to start his L3 Forest School Leader training. He loves teaching in the EYFS which is why he has spent 5 of those years teaching in Reception. Charlie is passionate about outdoor learning. He believes that children thrive when given the opportunity to choose, explore and become autonomous learners. He says that children are "nurtured by nature!" Storytelling, singing, dancing, getting creative and taking risks during child-led play are all part of the active learning Charlie believes children need to develop to their full potential. Charlie loves music, stories, travelling, cycling, surfing and adventure! Sylwia is a qualified SEN teacher with 10 years of experience in education with great passion for outdoor and play based learning. She’s originally from Poland and moved to London 13 years ago. Sylwia loved spending time in nature, hiking, being surrounded by animals, playing by the river or in the woods as a child. Sylwia believes that Little Forest Folk gives children the childhood they deserve and equips them with skills for life during the crucial years of their development. She loves watching how their independence and confidence grows through the freedom they’re given to explore. On the weekend, Sywlia enjoys travelling, creating art, reading books and listening to music. The meaning of the name Sylwia is “from the forest,” so Little Forest Folk is the right place for her to be! Tom is a primary and early childhood qualified educator who has recently arrived in the UK from Australia. Tom grew up in a small country town in Victoria which had a great influence on his belief that children need to spend as much time as they can, exploring the great outdoors. Tom was drawn to forest nurseries after studying them in university and witnessing firsthand the physical and academic ramifications of depriving children of the ability to get muddy and climb trees. He loves walks in the woods, travelling, and tree climbing. Tom firmly believes Little Forest Folk will equip children with the confidences, creativity and critical thinking that will provide them with the skills needed to succeed in school and the workplaces of tomorrow. Nafisa has five years' experience in working with early years. She completed her Level 3 Diploma in Childcare at Kingston College and has completed a number of training courses since, including Supervisory Training, Supporting EAL, Outdoor Provisions and Behaviour Management. Nafisa recently arrived back home to the UK after moving to the Middle East to help set up a nursery based on the EYFS. Nafisa believes that children learn best through first hand experiences therefore it is vital to provide them with authentic materials and tools to help them delve deeper into exploration. Morwenna was inspired to work with children after volunteer teaching in a children's shelter in Burma aged 18 and has been working with children ever since! After completing a degree in Anthropology, Morwenna embarked on adventures around the world, teaching children English in Thailand, India and Australia. This led Morwenna to qualify as a primary school teacher and she has been teaching in Brighton and London schools for the last three years. Morwenna was drawn to outdoor education after a school trip with her class to the seaside where she observed how engaged and inspired the children were amidst nature. Morwenna is a firm believer that playing in the forest improves children's creativity, independence and coordination as well as their happiness and wellbeing. At the weekends, you will find Morwenna riding her bike, playing guitar and singing and cooking up delicious food. Mar has always had an interest in the early years of childhood. Having grown up in the countryside of Burma herself, she appreciates the importance of outdoor play. Nature is the best medicine. She reads English at University, can't live without books and loves the cinema and music. Dipamaya was born in Nepal and spent her childhood partly in Nepal and in Hong Kong. She is a Nutrition Graduate and loves exploring the outdoors and being in nature. Dipamaya believes that we should let children be children and support them to be creative, to explore, be happy and healthy. Dipamaya really enjoys coming to the forest and being able to witness children grow each and every day. Katie has been working in the early years for 7 years, during which she has gained her Level 3 Childcare Diploma, and has also qualified as a Level 3 Forest School Leader. Katie’s passion for forest school began when she started to run the forest school group she has been leading for the last 5 years. She loves to observe the children playing outside in nature, watching them become confident in all areas of their development, and has witnessed first-hand how children learn and develop effortlessly in this environment. Katie feels lucky to have grown up very close to Wimbledon common, where she spent a lot of her childhood exploring the woods, climbing trees and making dens. In her spare time, Katie loves to be with family, going for long walks exploring woodland, reading and cooking for family and friends. Libby grew up with the best of both worlds of the woodlands surrounding Kent, and the hustle and bustle of London life. As her knowledge in Early Years has grown, she has found that the importance for children to learn and play in the outdoors and develop a love for learning at an early age is crucial to give them the best start in life. Libby studied at Nottingham Trent University and has a degree in Education Studies and Early Years whilst also gaining her Early Years Teacher Status. She holds a strong passion for Early Years and with her bubbly personality she ensures that children aren’t just learning from her but they are learning with her, finding treasures, exploring nature’s wonders and most importantly encouraging curiosity! Freddy has a deep love of the outdoors, animals and plants and feels that working for Little Forest Folk is a perfect fit. Freddy has experience working at Playschemes and is keen to gain experience in the forest and to expand on his knowledge of different styles of pedagogy. Freddy is a recent music graduate and believes spending time in nature is critical to positive learning and creativity. He is very excited to bring together his love of working with children with his passion for nature, the arts and education. He loves cooking, hiking and cats, and is a big music nerd! Tom has been working with children in the early years and primary school age ranges for almost eight years in a range of different settings. He has most recently been working as a Forest School leader and loves helping children to play and learn in an outdoors environment. Tom is very excited to be working for Little Forest Folk again as he truly believes in the nurseries’ ethos. Hugo is a qualified Youth and Community Worker hailing from Worcestershire in the West Midlands. When younger, Hugo found cycling was a hobby that quickly grew on him and he still cycles where he can! With his experience of working with young people, Hugo has been on residential weeks with youth groups in the woods and activity centres and was sad when the time finished and he had to go back indoors. On the side Hugo enjoys talking about politics, campaigning against homelessness, campaigning for human rights and writing articles for newspapers and publications about a range of issues. He has just come back from 3 months being in Turkey, living in Istanbul and teaching English to Turkish University students. Hugo believes that Little Forest Folk will combine his passion of helping young people and being outdoors to make sure children have the best time growing up and learning essential skills in the capital city - without the bricks and mortar which we see all around. Ruth grew up in Shropshire and most of her childhood memories are of adventures in the countryside of her home county and neighbouring North Wales. Although she has spent many years inside a classroom - having recently graduated with a Master’s degree in English Literature and Creative Writing from the University of Sheffield - her time volunteering on organic farms in Scotland made her feel her most inspired, which enlightened her to the power of outdoor education. She thinks the quote by Gary Snyder, ‘Nature is not a place to visit. It is home’ is a great reminder that we cannot be detached from our nature, even in the City of London! Ruth is very excited to be working for Little Forest Folk; she loves seeing the children filled with awe, playing, and storytelling in the forest. Otis has been involved in childcare for many years working at schools, nurseries and at summer camps in the Catskills Mountains, NY. In 2016 Otis had an inspirational research trip to Sweden, whilst completing his Early Years Teacher Status, where he visited several forest schools and decided, he wanted to work outdoors. Alongside doing his Masters in Research in Education, he has just gained his Level 3 forest school leader qualification. Otis comes from a creative background, holding a degree in Fine Art Photography, and uses this creativity to influence his practice. He is a firm believer in child led learning and enjoys taking on exciting projects, influenced by the children, such as making rope ladders and forest cars. Avalon is a trained Primary School Teacher as well as having her Early Years Teaching Status. From a young age, Avalon has loved being outdoors. She spent every summer holiday romping around the Cornish countryside, getting lost in the woods or clambering over the neighbouring fields around her grandparents farm. Avalon has always wanted to work in education but struggled with being inside classroom environment for long periods of time. In her working career, she has worked with all ages from birth through to adults. During her Post Graduate studies, Avalon was lucky enough to go to Sweden to undertake Forest School training and found the experience to be phenomenal. When she returned to England, she found it difficult to find a setting that had the same outdoor education vision, until she found Little Forest Folk! She is now very excited to be a part of all the Little Forest Folk teams. Growing up in the Austrian mountains and forest right beside lake Constance, nature and the outdoors is one of Jacki’s biggest passions. Jacki found a love for working with children after various nanny and babysitting jobs, and has recently completed her studies in early childhood education and care in which she also discovered her desire to work in a nature based environment. Jacki is excited to provide the children at Little Forest Folk with a childhood full of adventures and joy like she was able to experience, as she believes children connecting to nature forms the foundation to healthy development and growth. Jacki also has a great love for travelling and spends her time outside of work exploring different countries, getting to know other cultures and learning more about the world we live in. Kellie has a degree in Early Childhood Education from Sydney, Australia. While completing her final year of her degree she undertook an Honours project that involved research around the benefits of the outdoors for young children. At this point she decided that one day she would work in a forest school. Kellie moved to England and spent three years teaching reception and year one children before making the move to the early years. She then worked with the under 5’s in a day nursery for two years. When Kellie decided that it was time to move on she knew that it was fate when she came upon a job advertisement for Little Forest Folk. Kellie is currently working towards Early Years Teaching Status and is looking forward to undertaking Forest School Training. Georgia has been living locally to Chiswick house and gardens for over 15 years and has recently graduated from Falmouth University after studying a Theatre degree. She has previous experience working with children in America as part of the Camp America Programme. Over her three years studying in Cornwall, she was surrounded with beautiful countryside which allowed her to rediscover her passion for the outdoors. After moving back to the area where she grew up, she felt like it was natural to find a job which allowed her to connect with nature and also teach others the importance of it. Georgia believes that Little Forest Folk has given her just that and so much more! Victoria has an academic background in Pedagogy - Fine and Decorative Arts and through it has acquired relevant tools that enable her to bring on creative assets when working with children, along with a breadth knowledge of the multi faceted area of child development. Victoria is passionate about healthy and sustainable lifestyle and finding balance through spending as much time as possible into the natural world doing gardening or hiking. Victoria finds outdoor education to be the hope and support for the new generations in this historical moment. She feels proud to be part of Little Forest Folk’s mission of reconnecting young children with the natural world and giving them the chance to a good start in life. Born in Wellington, NZ with both ocean and mountain on her doorstep, Jepha grew up with a love of the outdoors and could usually be found climbing trees or on walks with the family dog. In the Girls' Brigade she organized camps and hiking trips roaming the national parks and walking trails, encouraging girls and young women to challenge themselves and enjoy the natural wonders around them. After getting her Diploma in Deaf Studies and NZSL, Jepha started a role as a Relief Teacher which allowed her to gain experience in a range of ECE settings and philosophies. Assisting in the daily implementation of the ECE curriculum lit a passion for early development and an appreciation of the way children flourish when they are given room to follow their natural curiosity and sense for adventure. Karina grew up in the rolling countryside of Wiltshire and was encouraged to spend the majority of her childhood outside exploring the local area. Being outside all day every day come rain or shine is where she is most comfortable and Karina is passionate about affording all children the same opportunities and experiences she enjoyed. Working with young children was always going to be Karina’s vocation in life, after completing a degree in Engineering she started out in Early Years education at a French bilingual school. It was during her Level 3 diploma that she discovered the Forest School approach to learning and instantly knew this form of schooling was meant for her; bringing together her love of the outdoors and children. Karina is a keen sportswoman, you may see her cycling to work or lacing her shoes for a lunchtime run and all this possibly after going swimming earlier in the morning! During the summer months she combines all three and competes in triathlon races across the country. Her style of education is aimed at helping children to ‘see instead of look’. Marlon was hugely influenced by the Forest School movement and Steiner approach whilst studying for his Teaching Diploma in Denmark. Since that time the natural environment has been an integral part of his work both in formal and informal education across London. Marlon is also an experienced Level 3 Forest School Leader as well as holding a degree in Fine Arts. Jo has over 20 years of experience working in Early Years in school, nursery, preschool and Sure Start Children's centres. 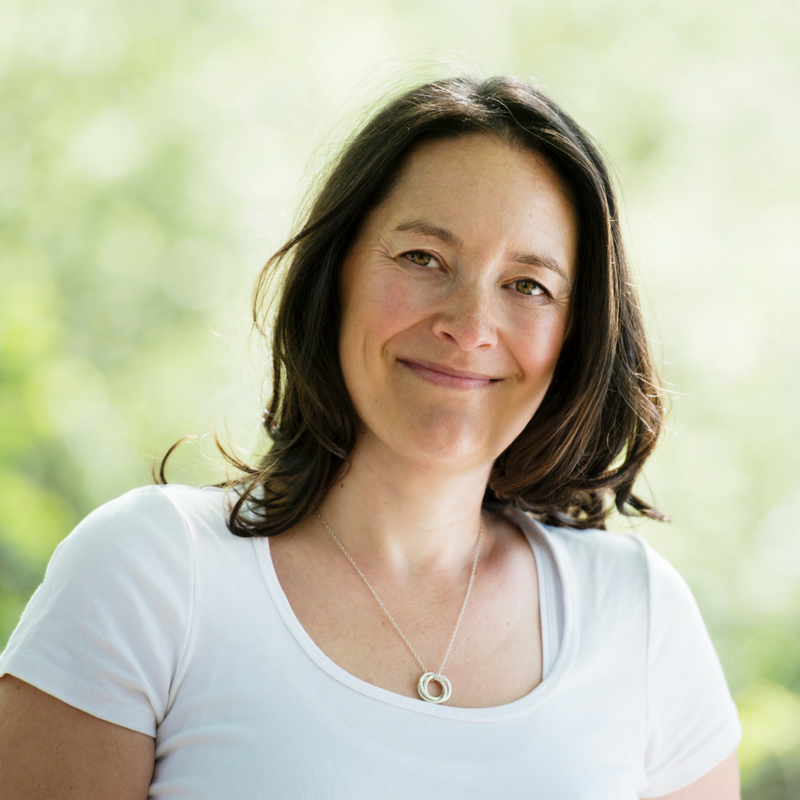 She is passionate about children's health and well-being and believes outdoor play and taking risks plays a massive part in good personal, social and emotional development and mental health. Jo grew up in Epping Forest and was involved in her local scout group for many years. She enjoys walking, exploring the forest, building dens and is interested in conservation and animal welfare. Chelsey recently moved from Melbourne Australia, coming to Little Forest Folk with 10 years of experience in early childhood education and holds a diploma of children's services. She believes that an outdoor education is one of the key aspects to early Childhood development. Chelsey is passionate about developing children's social competence through the enjoyment of song and music and movement. best place to create lasting lessons and experiences. She is excited to be part of creating this experience for children and to utilise her own personal experiences of outdoor learning to add value to theirs. Isabella studied Accounting and Finance at university quickly discovering the office life was not for her. She feels very lucky to have found Little Forest Folk where children learn outside every day. She is incredibly excited to progress her learning having started my L3 forest school training this year and starting her EYITT PGCE at UCL in September. Holly is bubbly, creative and energetic and has always found her peace and positive energy from being out in the fresh air. She believes that play and active learning in natural environments can have a really positive impact on children’s development and independence, especially in their early years. Holly is a Fine Art graduate and loves that she can use and share her creative skills with children out in the forest. She has a musical and theatrical background so enjoys breaking out into song and dance every now and then! In her free time she loves to meditate, sing and travel. My fondest childhood memories involve playing outside and climbing things until the sun went down, but this gradually stopped the older I got. I felt something was missing and it was only after I began working in primary and secondary schools that I understood the importance and benefits of play. After a long journey of searching for alternative ways of learning, I found the forest school approach and immediately felt it aligned with my own beliefs. I'm passionate about children growing up as confident and curious individuals and strongly believe in liberal learning, which Little Forest Folk encourages so perfectly! Harriet has always found time to make the most of the outdoors having been brought up in the countryside! She found her passion of different types of exercise from a young age when she ran up her first mountain in Scotland. She believes that children learning outside with nature is very encouraging. One of Harriet’s favourite quotes ‘When life gives you rainy days, play in the puddles,’ and children enjoy nothing more than jumping in them! With years working within a variety of different environments mostly in the UK and all ages of children, she has gained a wide amount of knowledge and she feels very lucky to have found Little Forest Folk. Growing up in Aberdeenshire, Scotland Katie has always loved being outdoors whether it was visiting the beach, woodlands or just playing out in the garden. This love of the outdoors has continued into adulthood, where she enjoys camping, walking and paddle boarding come rain or shine! Katie has a degree in Illustration & Photography and loves being able to share her creativity skills with the children of Little Forest Folk. Phil is a primary school trained teacher who has taught and worked with children in London, Devon and Cardiff, Wales. He has also tutored and looked after children in Austria and Canada. Having trained in forest school education, he is passionate about outdoor education in all its forms: from building fires to crawling through the undergrowth in search of interesting plants and mushrooms. He believes that the outdoors can offer far more to the development of children than is often recognised and cannot wait to learn from, and with, the children of Little Forest Folk. Whilst travelling overseas Amy soon became involved in volunteering at primary schools - teaching English in underdeveloped countries. Experiencing the variety of ages and seeing the potential that all children hold Amy decided that this profession was bound to be the work she didn't see as "work". Amy has 2 years of experience working as an outdoor activity leader which has given her a spark for bush craft - building fires, making shelters, tool skills and water purification. All are vital for survival... and just super cool to know! She is passionate about physical development in children, climbing trees and creating obstacles that challenge the little people to meet resilience and confidence in safe environment where they can really strive. Sam has a BA in Primary Education and has been an early years teacher since 2014. During this time, he has seen the benefits of outdoor play, and the impact it can have on children’s wellbeing and their attitude to learning. Sam believes that child-led provision based on both the children’s interests and the skills they need to develop are important to teaching in the early years. He is excited to work somewhere which not only shares these beliefs, but allows children to explore and learn about nature and the world around them. Sam enjoys reading, football and good quality knitwear (provided by his grandparents). He is currently working towards completing his level 3 forest school leader training. Virginia is passionate about building sustainable, more vibrant, and healthy communities that engage daily with our natural environment and value emotional intelligence as much as academic intellect. Her childhood in the USA was filled with days of building fairy villages out of sticks and leaves, spying crayfish and frogs in the creek with her brother, and learning to grow a garden with her mother. She first read Shakespeare in a tree with her best friend, taking turns as Puck and Titania. Getting dirty and lost in the woods was encouraged! Virginia has over ten years of experience working with young children as a nanny in the United States and Bermuda. Her most fulfilling days are spent watching children experience the same wonderment in nature that she did growing up. As a forest nursery educator at Little Forest Folk, she continues to spark curiosity and engage young minds in learning through outdoor play and exploration. Miranda is a Montessori trained teacher who loves working with the early years ages, especially in the outdoors. She has worked in day nurseries, private nurseries, as a tutor, as a nanny and she has also worked and travelled extensively abroad over the years. Miranda loves walking and has conquered several coast lines and ancient walls, she loves creating and getting messy, she has climbed a few mountains, and has an allotment in her back garden. Miranda thoroughly enjoys exploring, learning and accompanying a child on their adventurous investigation of life. Lizzie has six years’ experience in environmental education, working with a range of ages from Early Years through to young adults. She has taught Ecology and Geography at field centres, assisted in primary schools and delivered wildlife-themed sessions on nature reserves. She is also a qualified Level 3 Forest School and Beach School Leader and loves spending time in both woodland and coastal environments. Having grown up in the Kent countryside, Lizzie’s interest in wildlife started at an early age, searching for minibeasts and dipping in the garden pond – she still enjoys this today! She is passionate about connecting children with the natural world and believes it is vital that these foundations are laid for future generations of conservationists. Conor studied Primary Education at university and graduated with QTS in 2015. It was half way though his time at university that he witnessed forest school in action and ever since then, knew it was a career he wanted to pursue. He then completed his dissertation on the social, emotional and physical benefits forest school has on children and is now keen to put his theoretical knowledge into practise. Conor is currently working towards gaining a Level 3 Forest School Leader’s qualification. He loves the outdoors and hopes some of this enthusiasm will rub off on the children! Eddie has always yearned to be outdoors. Having two brothers, they spent most of their time playing sport and exploring the outdoor environment. After managing an online business for 5 years, Eddie decided to follow his heart and travelled and volunteered around New Zealand and across south east Asia. This ignited his passion for nurturing and teaching of children. Upon returning, Eddie became an outdoor atelierista at a Reggio Emilia inspired nursery and lead the forest school and he is currently completing his level 3 diploma as an Early Years practitioner. Eddie instigated a forest walk scheme to reconnect the children to their beautiful nearby local woodland space. The joy and engagement he received from the children on these walks inspired him to work in the forest full time, and feels very privileged to be part of the little forest folk family. Karen studied a PGCE in Art and Design at university and graduated with QTS in 2015. She strongly believes in learning through exploration and practical hands-on discovery and has years of experience in running creative sessions for children. Through her interest in wellbeing and creativity whilst working as a Community Artist she came across the Forest School ethos and went on to complete a Level 3 Forest School Leader’s qualification. Karen has many happy childhood memories of playing outdoors, in particular of fun visits to her cousins who lived on a farm and she remembers with fondness the enjoyment and freedom of playing out in the fields with them. Her love of the outdoors has continued through to adulthood and she enjoys going on country walks and visiting and exploring new places. Kathryn studied Primary Education at Durham University and graduated with QTS in 2018. She has always had a passion for the outdoors through growing up in the countryside in Northern Ireland, spending many summers and spare time camping by the coast, hiking and taking part with many water sporting activities. Kathryn visited Little Forest Folk for a short time during her studies and knew immediately that it was something she was interested in. Seeing the children’s confidence, maturity and enjoyment in a learning environment was amazing and she is excited to have opportunity to help children flourish in an environment that will equip them with many skills needed for their future success. A passion for the outdoors is something Christy harnessed at a young age. She grew up in a rural American town where her fondest childhood memories include climbing trees and boulders in her backyard with her brothers. For six years, Christy worked at a summer camp where she facilitated ropes course classes, canoe excursions, and led overnight trips. She knew that nature, laughter, and a sense of adventure always needed to be part of her life, so she studied Outdoor Education at the University of New Hampshire. Christy’s goal is to incorporate nature into all educational settings. Christy has a love for nature, a desire to protect it, and a yearning to explore it. She is excited to have the opportunity to help young children develop these same passions, especially children who live in such a big city, and is thrilled to be part of the Little Forest Folk family. Rachel is originally from the Scottish Borders and has thrown herself at outdoor activities with enthusiastic joy all her life. Family holidays were spent camping and hiking around Scotland and outdoor play was a normal part of growing up. Some of her best memories are of Sunday picnics in the local hills, swimming in rivers, climbing trees and digging mountain bike trails in the woods. Rachel holds a certificate in Outdoor Education and Environmental Studies and has four years of experience as a volunteer youth leader. She is currently studying towards both her Forest School and Level 3 Early Years qualifications giving her the tools to channel her deep love and appreciation for the outdoors in a meaningful way. Rachel finds that every day is made different because of these little people and is passionate about the importance of outdoor play and learning. Helping the children discover themselves and the world around them is inspiring, exciting and very often hilarious. Sofia was born in Uruguay and spent her childhood years exploring her back garden as well as the wild forest and countryside encompassing her grandmother’s house. These early experiences sparked her deep fascination for the natural world. This is also why she feels it is important for all children to explore and make their own connections with nature. Sofia enjoys gardening, art, hiking and spoiling her pet hamster. She is extremely excited to continue to learn and becoming level 3 forest school trained in the future. Prior joining Little Forest Folk, Sofia was at university studying Wildlife Ecology and Conservation Science in Bristol, alongside volunteering with local forest schools. Sofia has so much fun working outdoors with children and feels extremely honoured to be a part of the Wandsworth team. María is from Argentina and has a degree in Psychopedagogy. She also specialised in Autism and believes that outdoor education, in a natural environment, is beneficial and healthy for the children. She feels that nature awakens the senses in children and accompanies them with wisdom in their growth. María loves working with kids giving them all the opportunities to enhance their own skills and encourages them to overcome obstacles with love and companionship. Simon has been running his own business for a number of years and spent 8 of these years in beautiful Spain. After having made the decision to return to the UK, he joined Little Forest Folk and has since enjoyed driving the children, supporting the team and helping as an all-round outdoor legend. After graduating she worked as a teaching assistant in primary schools, before discovering her love of working and playing in nature. She has worked in refugee camps, squats, nature-focused summer camps, and with special educational needs children at a city farm. Lucy will be working part-time at Little Forest Folk alongside her illustration career and developing environmental workshops for children in her spare time. Alice holds a BA in Primary Education specialising in Early Years and has been teaching for 11 years in outstanding Hackney Primary Schools. During this time, she has also spent 3 years leading professional development in teaching early reading. Alice has many years’ experience in leadership and management and joins us from her role as Head of Lower school (nursery- Year 2). Alice is fascinated by young children’s innate desire to explore the great outdoors- where they learn more freely, concentrate more fully and explore more eagerly. Her understanding of child development and her close observations of young children’s learning, including that of her 3 year old daughter, have fostered an enthusiasm for the benefits of outdoor exploratory education. Alice has seen first hand how learning through outdoor play children develop all the tools they need to be resilient, confident, motivated learners and give them the very best start in their education. Kat has been teaching in the Early Years for over ten years and is passionate about providing the children with thrilling experiences that set them up for a successful future. She has lived in London all her life and knows, first hand how important it is that children spend time in the freedom of the outdoors. Kat is a huge advocate of grubby faces with big smiles, shining eyes, messy hair and curiosity. She loves to spend time walking her dog and exploring the world ‘off the beaten track’ or finding quirky hidden spaces in her home city. Kat’s mission is to enrich the lives of those around her, strive to do the right thing, find the joy and wonder in every moment and encourage everybody else to do the same. Xiao knew he wanted to work with children from the moment he left school and is enjoying his career in early years. He has worked with children with profound and multiple learning difficulties where he loved making sensory stories and has also been a nanny on skis. More recently he has been teaching 16-19 year olds to be early years’ practitioners and loved nothing more than getting his students outdoors to build dens and help them rediscover the magic of outdo or play. He is so happy to become part Little Forest Folk and share in children’s wonder as they make relationships with their outdoor environment and uncover new discoveries in the great outdoors. Christie grew up in the Northern Beaches of Sydney, Australia surrounded by beaches, bushland, reserves and a community of people who enjoy everything the outdoors have to offer. Christie has completed her BA in Primary Education which she completed at Notre Dame University in Sydney. While studying, Christie worked part time in an early childhood centre and fell in love with the age group. Christie has been working with young children since 2011. In 2017 Christie spent 9 months travelling the UK and parts of Europe which involved a study tour of outdoor nurseries in the UK, an international early childhood conference in Italy and a study tour in Iceland. Spending time in the outdoor nurseries inspired her to move to the UK and join a team helping children get knee deep in nature. Christie is a passionate Early Years Practitioner who believes children have a right to a childhood full of nature, imagination, creativity, fun and friends. She aims to empower children to make their own choices, explore their own interests and develop their ability to explore the world around them. Abbey has been a teacher for the last 5 years and has worked across all age groups. She loved getting her classes outside as often as possible as she believes this is where they can best to build confidence and become imaginative learners. She has a degree in Literature and Philosophy and is trained in delivering philosophy for children. Abbey grew up in Devon and spent her teenage years roaming Dartmoor looking for the beast of Bodmin. Now, she loves wild swimming and has been learning how to forage as her one of her main passions in life is cooking exciting food that uses seasonal and local produce. Growing up in Greece, Emma spent her days outdoors, enjoying adventures at the beach, in the mountains or in nearby woodlands. Emma has a degree in childhood studies, an MA in Early Years education, and five years’ experience working in Early Years before starting her journey with Little Forest Folk. Emma has a passion for outdoor play and helping children to explore their natural world, experiment, take risks and develop positive learning dispositions. Emma believes in the importance of providing children quality time to play in the fresh air and helping them connect with nature. She feels privileged to be a part of the LFF team and to be surrounded by active, fully engaged and excited children. Her favourite part of the week is flying around with superheroes, making mud 'potions', playing around the mole holes and climbing trees. Sarah grew up not too far from Wimbledon and is very happy to be enjoying the local forest area in one of the best ways possible. Sarah has experience working on placements in hospitals and children’s wards, as well as schools, both mainstream and schools focused on additional needs, both educational and physical. She has also spent time in Borneo playing with, and teaching, the local children while enjoying the beautiful outdoors. Sarah loves bringing music into the forest with songs, rhymes and instruments, and enjoying making up songs with the children. She is inspired by the development of the children while in outdoor play, and is very proud to be a member of the LLF team. Sarah is currently completing her Level 3 forest school leader training. Katarina has a great love for the outdoors and grew up in the countryside in Slovakia. She would be found exploring the great outdoors - come rain or shine! She has a degree in Psychology and a level 6 (Early Year Professional Status) qualification in childcare. Katarina has over 14 years childcare experience working as a nanny as well as an early year practitioner. She loves working outside in the forest, staying connected with nature and enjoys being able to share exciting journeys with the children. Spike was born and raised in Maidstone in Kent and loves walking, cooking, writing, reading but most of all telling stories! He has worked in childcare since 2014 and is finishing his level 3 Forest School Training. He loves the outdoors and working with children so Little Forest Folk is the perfect combination! From growing up in the Hampshire countryside, Poppy has always enjoyed being outdoors, and she is fascinated in the way in which children can use nature to learn, play and explore. Poppy has a degree in Early Childhood Studies and is a firm believer in the Little Forest Folk ethos of giving children the freedom to learn through play. Gavin has had 30 years of experience as a carpenter, and in the last few years has been pursuing his passion of working with children. Gavin is in his third year of completing a level 6 Diploma in Wellbeing Practice for Children and Young People, and has volunteered at Great Ormond Street Hospital, Kids Venture and as an assistant Scout leader. He is very excited to be able to combine his passions and getting to know all of our Little Forest Folk-ers. Growing up, Linn loved the freedom to explore the forest and the lakes, when visiting her family in Finland. She believes in a play-based and child-centred pedagogy that gives children the freedom to explore and follow their own interest. Linn is most relaxed in the outdoors, she believes that it offers an environment that is great for children, because it affords many fascinating possibilities. She is looking forward to supporting children on their journeys of exploration and learning. Linn has recently completed a BA in Early Years education and has done her final project on the benefits of outdoor education. She has previously worked at a nursery for four year which uses a forest school approach. In her free time, she goes hiking and camping and is especially fond of the magic of camp fires. She is fascinated by the night sky and loves reading science fiction books. Brandon has worked with children ever since he studied Art & Design at college and has loved his experiences so far. He also loves being outdoors and it would not be uncommon to find him crouched by a new mushroom he has discovered or fletching Hazel arrows for fun. He is thrilled to be working with Little Forest Folk, and being part of an environment that immerses children in nature. He thoroughly believes in the forest school ethos and supporting children to learn in the way they want to learn! Ben is an avid outdoorsman, artist and musician. After many years of teaching in the far East, he has returned to the UK to pursue his passion in outdoors education. Ben believes that children should spend as much time as possible outside enjoying the wonders of nature! Outside of teaching, he loves to run ultra-marathons in the mountains and he has competed in races in the Himalayas, Dolomites and the all over the UK! He loves the outdoors and is very enthusiastic about combing his passions of hiking, running and climbing with early years education. Hannah has wanted to work with children since studying for her GCSE’s and over the years has worked in a variety of different childcare settings. She strongly believes in the importance of teaching little ones the basic but crucial skills that will be used throughout their lives, whilst giving them the freedom to explore independently in the great outdoors. Having spent a lot of time in rural France during her childhood, Hannah developed a love for spending time outdoors with her family, whether that be long walks, or exploring new places. Hannah has a keen interest in music, loves going to festivals or concerts, and thoroughly enjoys travelling to new countries and places in the UK. Les has three children himself who have spent a vast amount of their play time on Wimbledon Common. Les loves nature and wild animals, especially pond life and is really enjoying being part of Little Forest Folk team. Olga grew up in Greece, and first began working with children because they help keep her inner child alive. Olga has a Diploma in Children Studies, and is due to finish her Masters in Conservation Management of Heritage in November 2018. She is excited that she can combine her love of working with children with her passion for nature, conservation and sustainability, and relishes the opportunity to be able to see the impact nature has on children development at Little Forest Folk. She loves reading, yoga and the rain never stops her from taking long walks outside! Leia has been a primary school teacher for 11 years and feels the benefits of outdoor learning are endless. Leia strongly believes that all children, no matter what age, should be given the opportunity to learn and flourish in an outdoor setting. She has been involved in a number of OFSTED and ISI school and nursery inspections and her outdoor sessions have always been graded as ‘Outstanding’ or ‘Excellent’. She feels that working at Little Forest Folk is a dream come true.